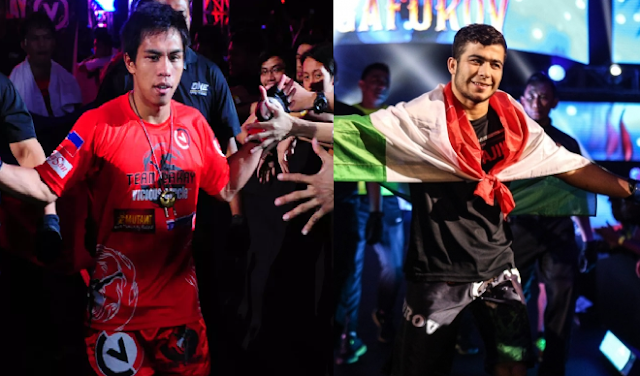 Team Lakay fighter Kevin Belingon is set to face the Tajikistan fighter Muin Gafurov at One Championship: State of Warriors in Myanmar on October 7, 2016. Kevin Belingon is one of the top fighters from Team Lakay. He is a 28 years old fighter with the record of 13 wins with 5 losses. Belingon is a hard hitting fighter and also have good ground skills. Kevin Belingon once fought for the ONE Bantamweight Championship against Bibiano Fernandes last January 2016 but the Team Lakay fighter fall short and Bibiano Fernandez won via submission in the very 1st round of the fight. On the other hand, Muin Gafurov is a very top opponent for Belingon, Gafurov is only 20 years old and has an impressive record of 10 wins with only 1 losses. Gafurov is also a hard-hitting fighter and also a good submission fighter, he never been won via UD, all of his stoppages come from KO or submission. Gafurov only lost his last fight against Reece McLaren of Australia via Unanimous Decision. One Championship: State of Warriors will be headlined by Yoshitaka Naito vs Joshua Pacio of the Philippines.